Win tickets to Brett Whiteley documentary: WHITELEY | Daily Review: Film, stage and music reviews, interviews and more. 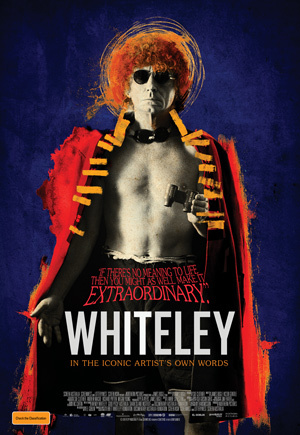 Whiteley is a visual journey into the life and legacy of one of Australia’s most celebrated artists, Brett Whiteley. The story, told in Brett’s own voice, opens a rare window into an artist’s mind. While his brief, dazzling life was erratic, combustible and tragic, Whiteley also created a highly productive and brilliant artistic vortex around which much of our 70s and 80s sense of self-worth as an aggressively creative nation emerged. The documentary features over four decades of archival footage and includes never before seen interviews and notebooks. Daily Review has TEN double passes to give away to Whiteley, released May 11. For your chance to win, enter your details here and make sure you’ve liked us on Facebook to boost your chances of winning. By entering the competition, you’re also subscribing to Daily Review’s free arts and culture newsletter The Rundown, which will keep you up-to-date with all the latest happenings around the country, and more competitions like this! 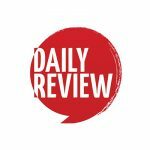 This competition is promoted by dailyreview.com.au and will be drawn on 5/5/2017. The competition is open to residents of Australia and New Zealand unless stated otherwise. Information on the method(s) by which the competition can be entered are found here. Daily Review does not endorse, take responsibility for or provide a warranty of any kind for the prize(s) offered in this promotion, nor do we provide any transportation or accommodation that may be necessary. By entering this competition, you allow Daily Review to share your contact information with the company/companies providing the prize(s) to enable delivery of the prize(s). Iconic Australian. The documentary will be revelatory.